Non-payment of student loans is an important issue that is having a huge impact on our economy and our presidential election. As of 2015, over $1.2 trillion in student loan bills was outstanding. About one-third of those borrowers were actively attempting to make payments, while another 17 percent were considered to be in default or delinquency. If you are considering taking out student loans, or have already taken them out and are struggling with repayment, here are some things you need to know about the consequences of non-payment. These figures refer to students (and parents) who borrowed money through federal student loans from the federal government for a college education. There is also money that is owed to private institutions, which was loaned out as private student loans. These loans are collected in a totally different manner and might have fewer forms of recourse available. If you have problems making payments on your federal student loans, be aware that they can be combined into one loan to make repayment easier. There are also a number of income-based repayment plans available which can give borrowers more time to repay their loan without creating such a significant financial burden. A loan becomes delinquent on the first day after a payment is missed. There are usually several stages of delinquency, such as 30 days past due, 60 days past due, and 90 days past due. Each level gets a little more serious. It goes into default after a much longer period, of between nine and twelve months, depending on the specific type of loan. 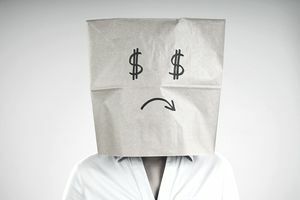 Delinquency can still leave borrowers with a lot of repayment options, but default kicks a series of responses into action which are much more difficult to deal with as the borrower. Once a loan is considered to be in default, the consequences can be pretty severe. For example, the entire unpaid balance plus interest becomes immediately due and payable. Borrowers lose any eligibility they might have had for deferment, forbearance and other repayment plans. They will not be eligible for any future federal student aid, and the loan account will be turned over to a collection agency for further action. Many borrowers do not realize that there is no statute of limitations on the collection of federal student loan debt. Although the government may forgive student loans in certain cases, this does not apply to loans in default. This information will appear on a credit report which could affect the future ability to borrow money or obtain employment. The government can also withhold federal income tax refunds, garnish wages or withhold Social Security payments to settle the debt. It may even affect the ability to renew a driver’s license or professional license, and prevents the borrower from enlisting in the Armed Forces. While the initial amount due might have been manageable, the total grows as time elapses. There are additional interest costs, late fees, potential attorney fees, and court costs, collection fees, and other costs associated with the collection process which can be added to the amount owed. The borrower can be sued and taken to court for non-payment. Once an unpaid loan starts moving through the court process, the judge may issue certain orders. Although a borrower cannot be arrested solely for non-payment of loans, an arrest warrant can be issued if these orders are not followed. There may be additional charges, however, if it is determined that fraud was involved in the initial loan application or false information was provided on the FAFSA. Any co-signers on the original loan may be pursued for repayment. It makes it difficult for the original student to purchase additional items, and may even affect the borrower’s children when they attempt to take out student loans to pay for their own education.